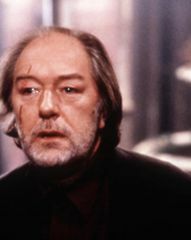 Michael Gambon. Sonia Braga. Patrick Malahide. Against a backdrop of war-torn Romania, four men gather for their annual dinner, hosted by Dr Daniel Pavenic and served by his enigmatic housekeeper, Ana. But the civilized atmosphere begins to fade as Pavenic decides to tell Ana's story and of his lifelong passion for her. Intensely theatrical.